It's not hard to see that we bring our own anxieties and awkwardness into every evangelistic conversation. Not to mention the often vast differences between our experiences of God and religion and those of the people around us. And then there's the inner awkwardness of our conversation partners, who are actively contending, even unconsciously, with the work of the Holy Spirit in their lives. Evangelism is awkward, yes. But on the other side of that awkwardness is something amazing: transformed lives, healed relationships, new vision, eternal life. Spoiler alert: Talking about Jesus is awkward. We love to share good news with the world. We tweet about a great new restaurant, we share pictures of our newborn child and we celebrate about receiving that sought-after promotion. We are evangelists for many great things. So why don't we do the same with Jesus? It's not hard to see that we bring our own anxieties and awkwardness into every evangelistic conversation. Not to mention the often vast differences between our experiences of God and religion and those of the people around us. And then there's the inner awkwardness of our conversation partners, who are actively contending, even unconsciously, with the work of the Holy Spirit in their lives. Evangelism is awkward, yes. But on the other side of that awkwardness is something amazing: transformed lives, healed relationships, new vision, eternal life. After spending years working with college students and churchgoers, Beau Crosetto hasn't solved the problem of awkwardness in evangelism. But he's learned how to push through it and how we can set ourselves and those we love at ease as we enter into conversations of eternal consequence. Read this book and move beyond awkward into the most awesome privilege of God's people: proclaiming the good news of Jesus Christ. Beau Crosetto loves helping people connect to and share Jesus right where they are. He serves as the director for starting new Greek InterVarsity chapters on college campuses in Greater Los Angeles. He is the founder of the missional blog and has a MA in evangelism and leadership from Wheaton College. Beau has partnered in planting the church Vineyard Underground in Los Angeles. I've read many books on evangelism, and there are very, very few that breathe the rarified air of being beneficial for our generation. This is one. 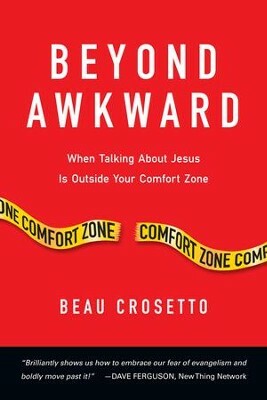 In Beyond Awkward, Beau does a great job of covering important truths, points and questions in sharing the goodness of Jesus with others, and getting past the feeling of awkwardness in our conversations. We need more books like this one. Whether taking the next step in a conversation with a skeptic or preaching to a crowd of a thousand, Beau continues to fire me up to share the good news. He is one of the most influential and gifted evangelists I have ever met. For anyone seeking to grow your faith and share Jesus with others, one interaction with Beau will inspire you. And this book is a solid interaction. Dive in . . . and reach out. The call to 'embrace awkwardness' may sound strange, but it could be just what many Christians need to hear. 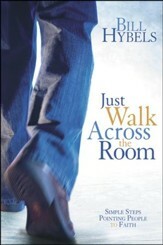 In this enjoyable, challenging and universally applicable book, Beau Crosetto empowers believers to step beyond their fears, learn to hear Gods voice and enter the amazing journey of relational evangelism. As you move beyond awkward into evangelism action, your faith and joy will rise. Let's live out this book! Are you terrified about having spiritual conversations? This book is a great primer, helping you avoid the extremes of being either too pushy or too passive, while training you in practical and Spirit-dependent ways to explain the reasons for the hope you have. Beau's book is a gift for the church as he takes the beyond-awkward topic of evangelism and makes it beyond accessible for all. With honest and inspiring stories and practical tips, Beau equips and empowers us all to play our part in the Great Commission. A brilliant resource! For those who have already made the paradigm shift of what it means to be sent people, living incarnationally and demonstrating the love of Jesus, Beyond Awkward is a great next step in practically proclaiming the gospel to those we come in contact with on a daily basis. Evangelism tends to have a scary connotation making us uneasy or anxious because of what others may think. But Beau Crosetto helps us understand the importance of sharing our faith because of the one who has captured our hearts - Jesus. Why would we not want to share him and what he came to bring with others? Great, practical, must read. You will be glad you did! If there is anything most Christians and non-Christians agree on it is a mutual dislike for evangelism. In the ways most of us learned it, well, it's just unnatural, or as Beau says, Beyond Awkward. In this much-needed book, he doesn't shy away from that fact but experientially takes us there and helps us move beyond the abnormal ways and means of typical evangelistic presentations. I wish I would have had this book thirty years ago. With our hearts pumping and palms sweaty, Beau reminds us that on the other side of scared and awkward, evangelism is power and salvation through Jesus. With compelling stories from his own life, scriptural examples and practical tools for every Christian to use, Beyond Awkward is a primer on taking steps to trust the Holy Spirit to experience the joy of witness. I'm grateful that Beau has provided us with an inviting place to realize we aren't alone in the awkwardness but that Jesus is faithful to always meet us there and give courage to take risks for his glory. Beyond Awkward by Beau Crosetto is a passionate, compelling wake-up call to all Jesus-followers to be intentional in turning everyday normal conversations into conversations about Jesus. Evangelism can and should be a normal lifestyle of every Christian. It shouldn't be awkward. 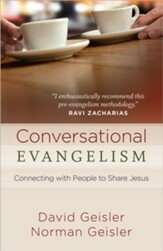 Crosetto gives his readers great principles and encouragement to help Jesus-followers to make evangelism a natural and exciting part of life. Long before meeting Beau Crosetto, I heard how God was using him to lead an evangelistic movement within InterVarsity. Beau is the real deal - a gifted evangelist with a passion to see lives eternally changed. The biblical role of the evangelist has little to do with spotlights and stadiums and everything to do with equipping God's people to boldly share Jesus. In Beyond Awkward, this is precisely what Beau is doing - equipping the saints. 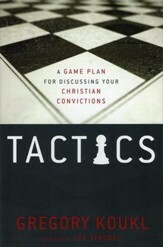 This book hits the trifecta: it's simple, biblical and practical. Read this book and join God's movement toward the supernatural reset our world needs today. Beau Crosetto has truly crafted a Holy Spirit driven, inspirational, biblically-based resource that should be put in the hands of every Christian student in the university. Beyond Awkward challenges us to take risks, alleviates excuses for not sharing Jesus and is replete with pragmatic examples and advice on sharing your faith in Jesus. Beau's understanding and articulation of the partnership of the Holy Spirit with us in evangelism is fresh and encouraging. 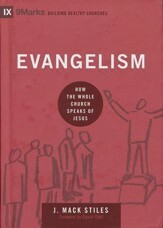 This is one of the most significant books on evangelism I have read. I have always been a firm believer that the game of football is the ultimate team sport. Beau has made me re-evaluate my thinking: evangelism and helping people know and love Jesus is the ultimate team experience! Beau is truly a gifted evangelist, but more importantly he helps us realize we can all be on the evangelism team no matter our role, our talent or our background. God wants us on his team and in his game. The Great Commission is a challenge to all believers, and it's sure helpful to be coached, urged and encouraged along by Beau. Beau Crosetto lives what he teaches, and out of his life comes this powerful and inspiring book. He has helped thousands of people on campuses and in churches to get beyond their fears and awkwardness and into the zone of seeing God work to influence people toward Christ. You will love it! "Long before meeting Beau Crosetto, I heard how God was using him to lead an evangelistic movement within InterVarsity. Beau is the real deala gifted evangelist with a passion to see lives eternally changed. The biblical role of the evangelist has little to do with spotlights and stadiums and everything to do with equipping God's people to boldly share Jesus. In Beyond Awkward, this is precisely what Beau is doingequipping the saints. This book hits the trifecta: it's simple, biblical and practical. Read this book and join God's movement toward the supernatural reset our world needs today." 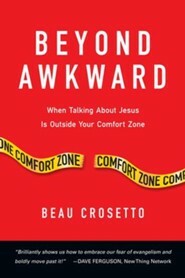 " Beyond Awkward by Beau Crosetto is a passionate, compelling wake-up call to all Jesus-followers to be intentional in turning everyday normal conversations into conversations about Jesus. Evangelism can and should be the normal lifestyle of every Christian. It shouldn't be awkward. Crosetto gives his readers great principles and encouragement to help Jesus-followers make evangelism a natural and exciting part of life." "For those who have already made the paradigm shift of what it means to be sent people, living incarnationally and demonstrating the love of Jesus, Beyond Awkward is a great next step in practically proclaiming the gospel to those we come in contact with on a daily basis. Evangelism tends to have a scary connotation making us uneasy or anxious because of what others may think. But Beau Crosetto helps us understand the importance of sharing our faith because of the one who has captured our heartsJesus. Why would we not want to share him and what he came to bring with others? Great, practical, must read. You will be glad you did!" I'm the author/artist and I want to review Beyond Awkward: When Talking About Jesus Is Outside Your Comfort Zone.